This page provides a high-level overview. For detailed list of features, see Blog release history. In Visual Studio, select Tools > New Tabular Model Comparison. 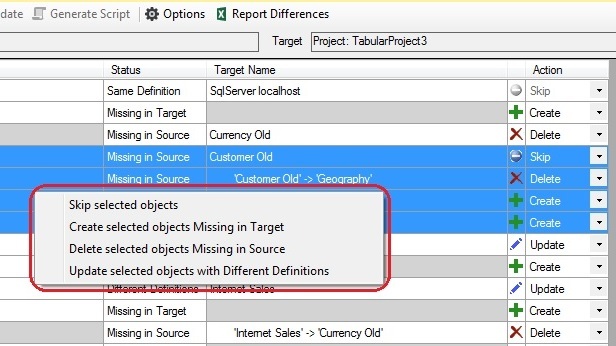 In the Connections dialog, specify the source and target databases/projects and click OK. Tabular projects loaded in the current solution will be available for selection. Hide Skip Objects to focus on the differences. Actions available are Create, Update and Delete. Select the actions you wish to take. Click Validate Selection on the toolbar. 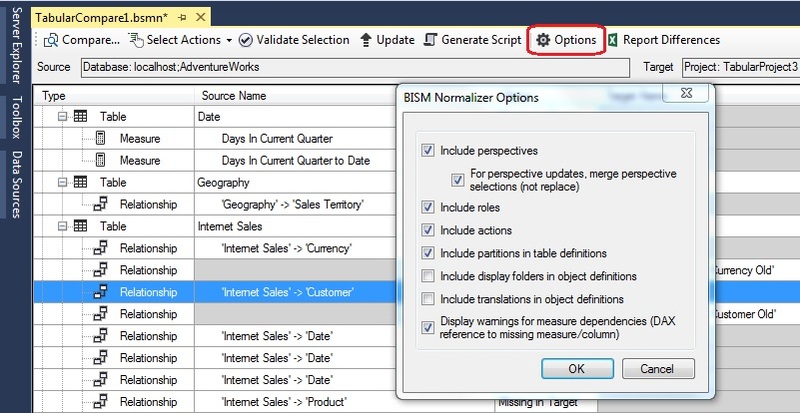 Check any warnings in the BISM Normalizer Warning List. Update the target or script changes. Comparison options can be set in the Options dialog. 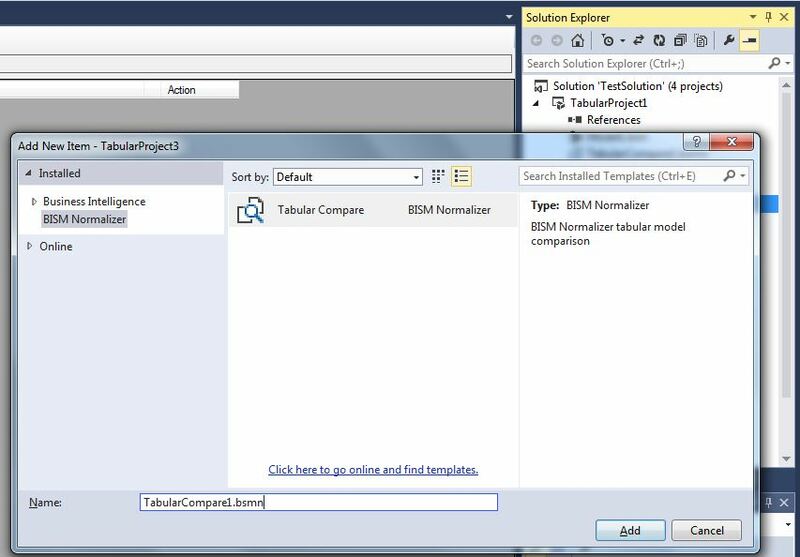 To easily add a comparison file to a tabular project, use the Add New Item dialog. Skip selections, connections and options are retained when reopened.